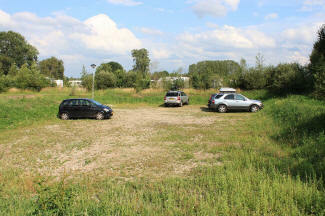 To find site:- North of Eindhoven on A50, exit at junction 8 and take road towards Nijnsel/Sint Oedenrode. 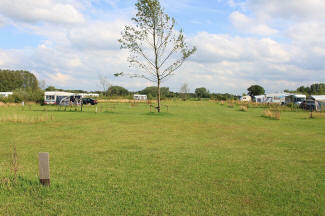 Watch out for right turn to campsite following small green camping signs. 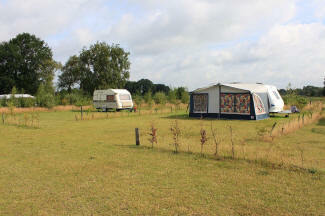 Camping De Graspol is a little green oasis of a campsite on edge of the village of Nijnsel just north of Eindhoven. It is run by a very friendly and enthusiastic couple, who both speak very good English, who have set out to create a campsite in very natural and spacious surroundings. 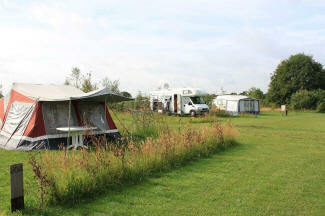 There are about 60 pitches in total all hedged in grasses and shrubs. 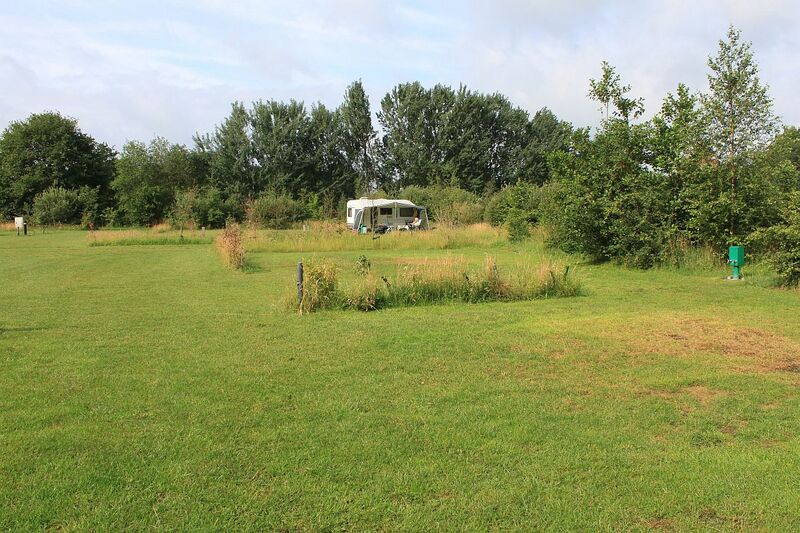 The first section of pitches vary in size but the one we had I would classify as large. 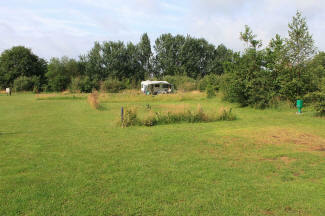 Further into the site there are pitches which can only be described as enormous, in the region of 200 sq mts. 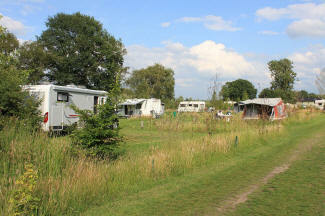 The larger pitches demand an extra premium of a few euros a night. All pitches, regardless of size have their own water and waste points. You have a choice of electrical supply rated at 6/10/16 amps. They all accept CEE17 blue plugs. The 6 amp supply includes 4kws per night usage after which a charge of 50 cents per kw is made. For 10 and 16 amp supply there is an extra nightly charge but you don’t pay any extra per kilowatt. The electrical supply is controlled by a state of the art system in reception and provides exactly what you ask for so with the 6 amp supply there is no leeway as you might get on other campsites. With the exception of the large pitches cars are to be parked away from the pitches in the provided car park. 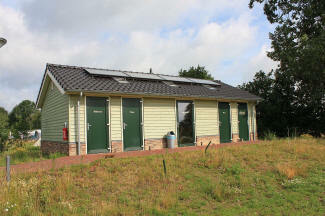 There is one toilet block which is to a very high standard with seated toilets and paper provided. 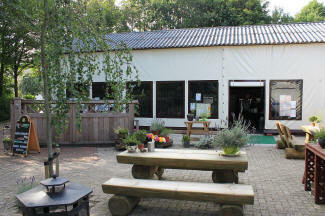 Bread can be ordered from reception although there are a couple of bakers not far from the site. 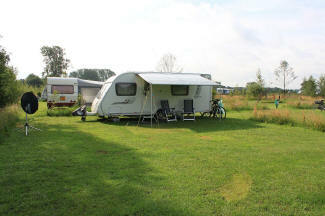 As a bonus De Graspol offers free WiFi which is campsite wide. Being not far from the motorway a slight traffic hum can be heard and there is a little aircraft noise but we did not find either intrusive during our stay. For those looking for a non all singing all dancing campsite as so many Dutch sites are this could well be worth considering for either an overnight stop or longer stay in this part of Holland. Date of visit June 2011. The site accepts the ACSI Card out of the main season. Update 2018:- I noticed on their website that they now say that the campsite is not suitable for children as sports and games are not allowed on site. They seem to want to create a calm and quiet atmosphere on site. 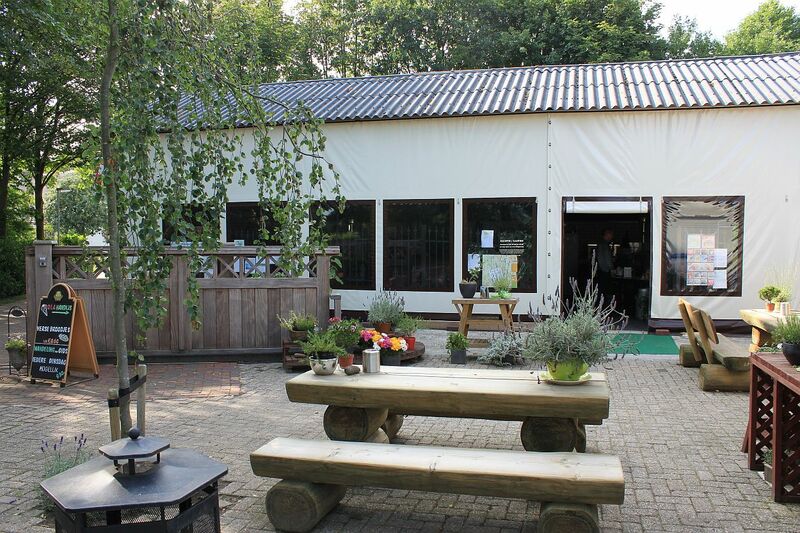 There now seems to be a restaurant onsite. 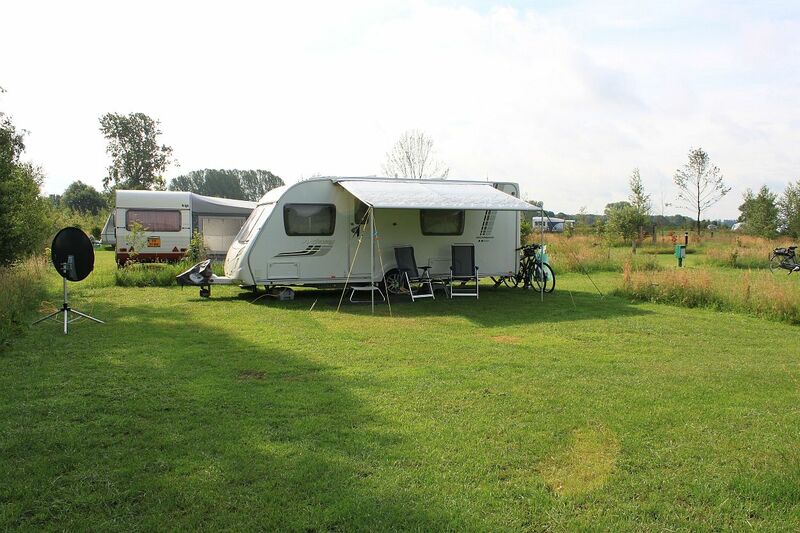 There are many opportunities for cycle rides from the campsite and the nearby town of Sint Oedenrode is only a short ride away. Also in the town centre are a couple of supermarkets and many other shops. 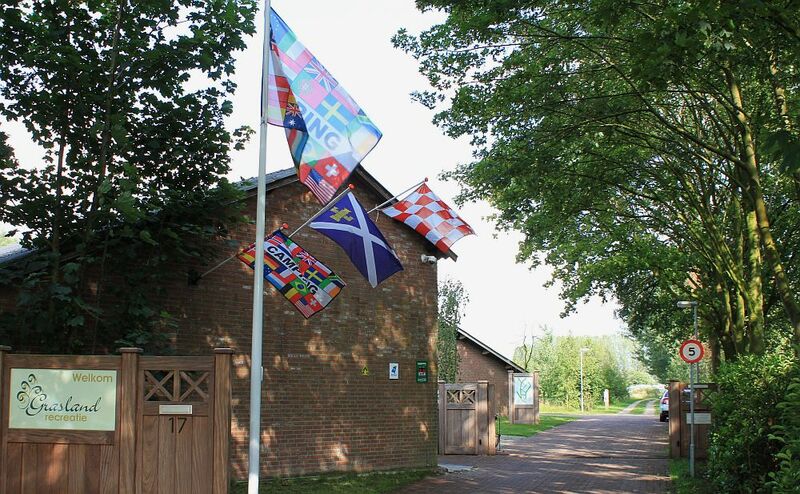 The City of Eindhoven is relatively near as is the Van Gogh village of Nuenen.